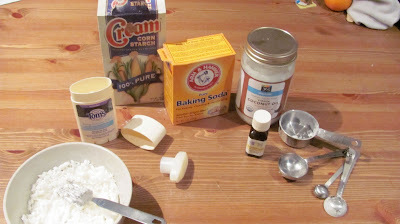 Last night I tried again to make my own deodorant again and this time it was successful! I got the instructions from Instructables.com. This time I didn't try to make 1/2 as much which was y down fall last time. I used Sandalwood essential oils and it smells fantastic. Today is my first day trying it out and its holding up great. 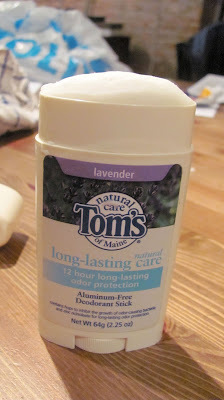 It also seems like it will last a lot longer than normal deodorant and I am at less of a risk for breast cancer and Alzheimer's, which is always good. I highly reccoment that how-to! If you make your own and have any questions please ask me! Great idea Tamara! I always get rash from natural deodorant so I end up using awful antiperspirants. I should try this, I love Sandlewood also! As a follow up. I have been wearing this deodorant all day and its working great! no smells! Just sandalwood and coconut smelling!